Rain later this morning and this evening. Though located on one of the most popular destination islands in the Bahamas, Lyford Cay is isolated and quiet, situated on the far west end of the island away from the primary tourist draws of Nassau and Paradise Island. 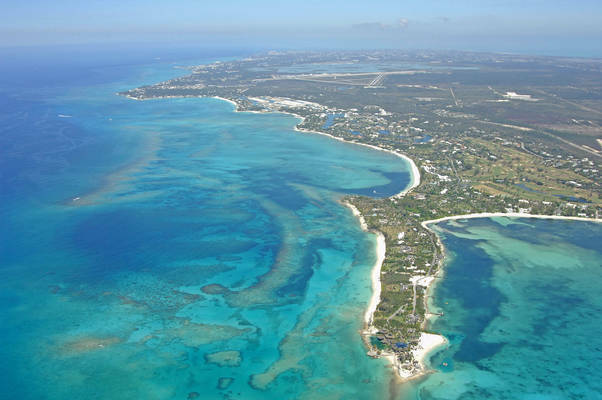 Still though, if you manage to get a slip at the marina, you can enjoy the surrounding beaches and resort amenities (restaurant, bar, club, pool, etc.). For a detailed calendar of events for the area, see the Helpful Links section below. Lyford Cay Harbour is a luxury resort community located on the north side of New Providence Island about 15 miles west of Paradise Island and the center of Nassau, which is the capital city of the Bahamas. Inside the harbor you will find the Lyford Cay Marina, which is part of the private Lyford Cay Club community. Technically, the marina is private and reserved for property owners and their guests, but occasionally boaters can arrange for a transient slip by calling ahead on VHF Channel 16, or by phone, to check on availability. Four days is the maximum stay. 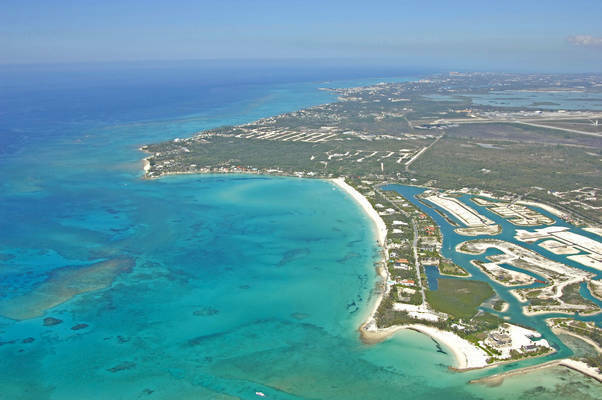 Lyford Cay Harbour is approached via a northerly approach from New Providence Channel. From New Providence channel, set a course to arrive in the area of waypoint 25 03.654N 77 30.924W. Once you have arrived near the waypoint, set and follow a course of 180 degrees true for a distance of about 1.4 miles. This will line you right up with the cut into the harbor, and there are several aids to navigation placed along the way to help guide you in. Reported depths in the approach channel, in the cut, and in the harbor are reported at nine feet, but if you have any doubt as to the current conditions, it is advised that you radio in to the marina for local knowledge on the channel. As visible in the image above, the marina is located to port on entry. 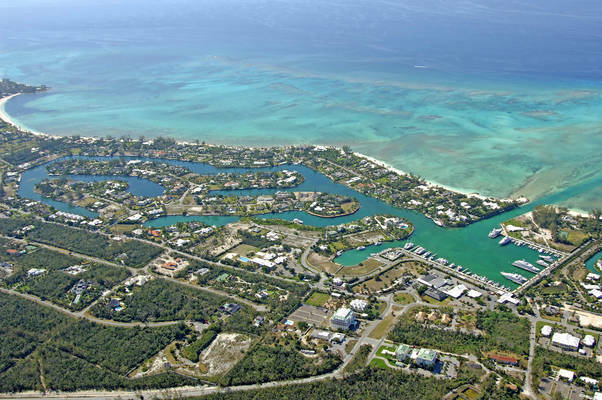 The Lyford Cay Marina is private, as previously mentioned, but transient slips can be arranged with an advanced reservation. 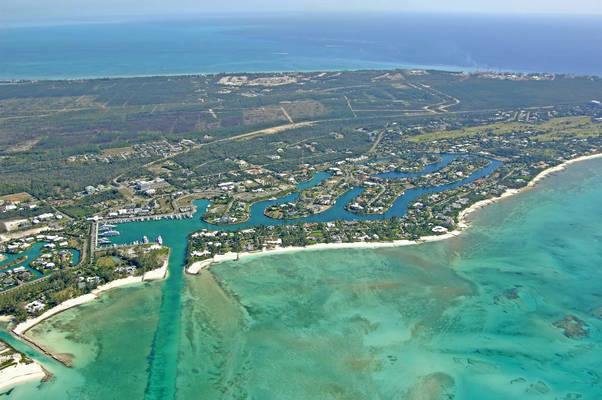 See our detailed marina listings for more information on the marinas specific facilities. 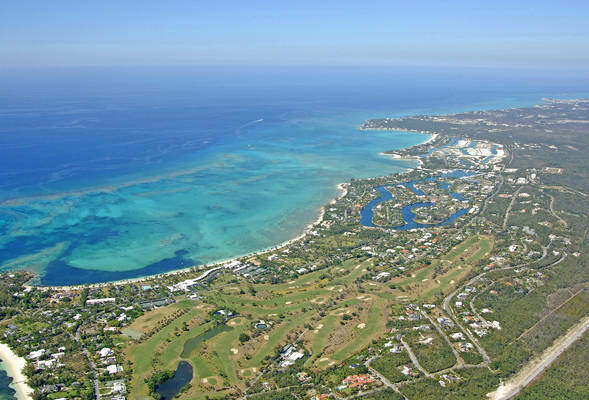 The Nassau International Airport is located in the central portion of New Providence Island about three miles east of Lyford Cay Harbour, and features daily non-stop service to Miami, Fort Lauderdale and surrounding areas of the Bahamas on regular daily schedules. There are no city busses available to transport you to the airport, but taxi cab service is widely available throughout most of Nassau and the surrounding areas, including Lyford Cay Harbour. No reviews yet! 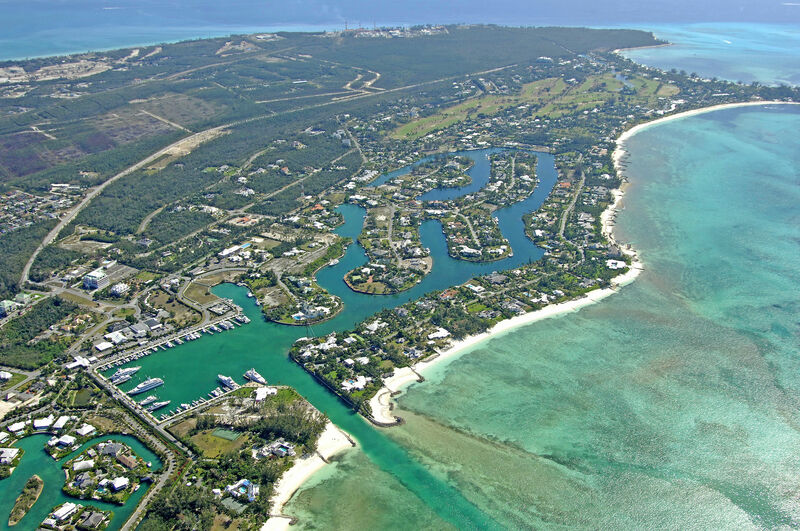 Be the first to write a review of Lyford Cay.